In March 2006, Eric surprised all of us with a post about a trip he took with Bernie where he recalled the first time he saw the Choir, back in 1966 or '67: "When I looked at the stage that night, I saw me standing in between Wally and Dave and I felt a little surge of energy that told me that could be a really exciting band." Eric goes on to write an imagistic recollection of that starting point and beyond, bringing it full circle with this comment: "We fell a little short of my dream of becoming the next Beatles and being a force for good in the universe, but in our own little way, we did make a difference." I love how Eric closed his first writings here: "...[T]his is officially my first post. How'd I do?" 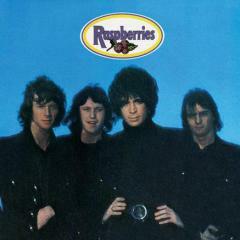 The Raspberries reunion of 2004/05 spawned an avalanche of threads, and when Eric joined the board with this thread, we saw a second avalanche of posting here. As Darlene noted, EC "definitely breathed new life into the board!" Miss those days! Read through the whole thread: There’s one prescient post from Eric where he says, "I would have been here sooner, but... I was afraid my presence might attract the lunatic fringe." Re: the "lunatic fringe"—personally, I think there was just a little of that. I'm thinking of one particular poster (heh) who singlehandedly dragged the EC.com bulletin board atmosphere from "spirited camaraderie" to contentious acrimony. He long ago left, but while he was here, he chased away an awful lot of good folks. IMHO. Dreams are forever... and some things you never forget.